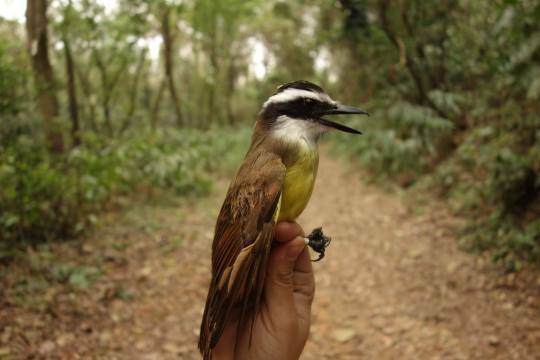 Our bird banding coordinator Luke DeGroote is traveling in Brazil this month, where he’ll be training Brazilian avian researchers how to do bird banding and exploring new collaborations between South American institutions and Carnegie Museum of Natural History. 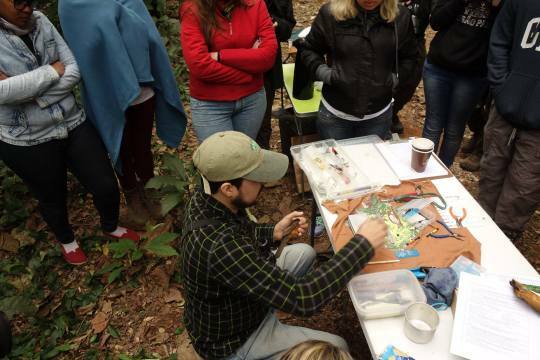 Last week, he was at Sao Paulo’s Observatório de Aves – Instituto Butantan teaching molt phenology and the identification of molt limits for the first ever field ornithology course in Brazil. He sent back pictures of the Great Kiskadee and the White-necked thrush. Luke DeGroote is an Avian Ecologist and the Bird Banding Program Manager at Powdermill Nature Reserve, the environmental research center of Carnegie Museum of Natural History. Luke is traveling in Brazil this summer to train Brazilian avian researchers band birds and explore new collaborations for the museum.